Loads of great content up in this week’s Nerd News! Looks like there will be another Narnia movie in the works. I enjoyed the first one, but the last two were a bit on the shaky side for me. The Silver Chair might just be my favorite Narnia book, so I hope they do it justice. Here’s hoping for Tom Baker to reprise his role as Puddleglum. My good friend and “fiancé-in-law” Chris Yokel shared a really interesting comparison between Firefly and Joss Whedon’s newest, Agents of S.H.I.E.L.D. series. Check it out on his blog. I know in your social media perusing, you’re likely bombarded with approximately 300 bajillion, 25 flying fafillion BuzzFeed lists. They’re either hilarious or obnoxious. 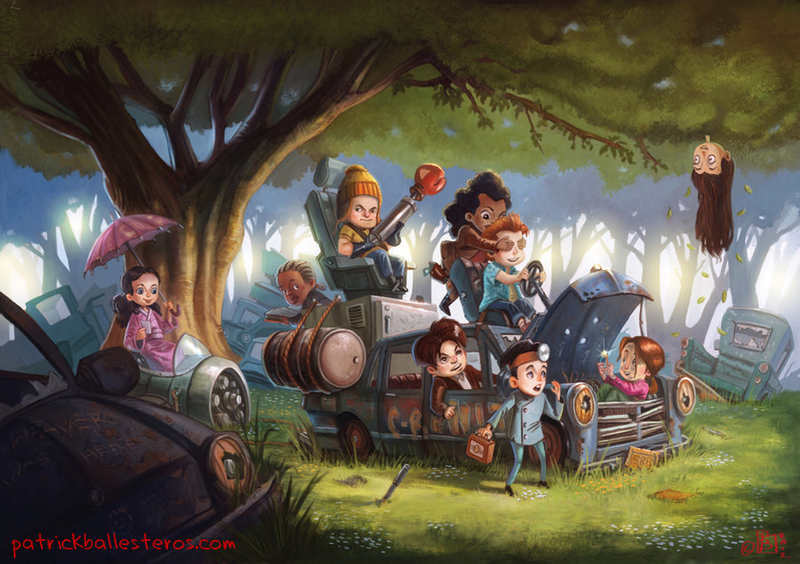 Allow me to share a delightful one with you here today–10 Classic Fandoms Imagined as Kids that Will Warm Your Heart. Looking for some spooky Halloween films that will make you think, spook you, but not knock you for a loop with gore and violence? My friend Dr. Amy Sturgis can help you out. Personally, I don’t do horror, but Amy’s thoughts on these films have compelled me to watch a few in years past and I’ve really enjoyed them. Check out all the Halloween fun here on her blog. This entry was posted in Books, Comic Books, Just For Fun, Movie, Nerd News, TV and tagged Agents of S.H.I.E.L.D., Amy Sturgis, Buzzfeed, Chris Yokel, fandom, Firefly, Halloween, horror movies, Puddleglum, The Chronicles of Narnia, The Silver Chair, Tom Baker. Bookmark the permalink.